Even if you live in an urban environment, taking some time to correct for plant blindness can provide many benefits, both physical and psychological. As a lead up to the 100th birthday of the National Park Service in 2016, President Obama announced the “Every Kid in a Park” initiative. It will provide all fourth graders and their families with free admission to National Parks for a full year and is a call to action for everyone to enjoy America’s great outdoors. 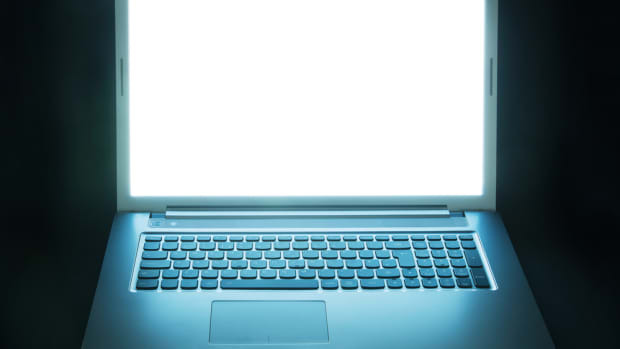 At a time when children and adults alike are spending less time in the natural world and more time absorbed in the digital, it is a welcome program. The clash between these two worlds was recently exemplified in a photograph widely circulated online. 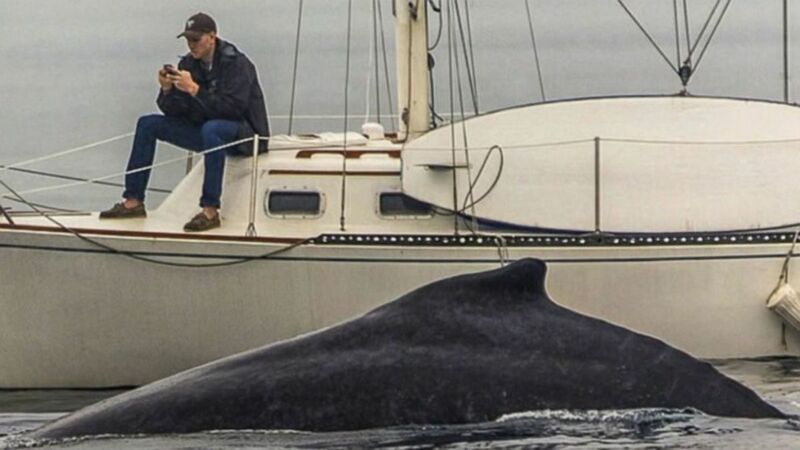 In it, a man is so engrossed with his phone that he’s oblivious to a whale breached just a couple of feet away from him. Sentiments ranged from give the guy a break, he probably sees whales all the time, to melodramatic lamentations of technology being the downfall of humankind. Indeed, we frequently hear about some of the negative effects of mobile technology. It can hurt interpersonal relationships and prevent meaningful interactions. One in four car accidents is caused by cell phone use. People have fallen onto train tracks and into fountains from texting while walking. It’s likely that we’ve all missed seeing something interesting or important happening around us when we were too busy on our phones. As a biologist, the whale photo illustrated to me how we often turn the very technologies we ostensibly use to stay connected into barriers that prevent us from connecting with nature. And not just idealized nature such as national parks with wild animals, but nature that surrounds us every day, like city parks, fields, and gardens. As a botanist, I wondered whether the photo would have garnered any attention if someone had been texting next to a giant sequoia tree instead of a whale. I doubt it. Botanists refer to this as “plant blindness,” or the inability to see or notice the plants in one&apos;s own environment, as well as the anthropocentric tendency to consider plants inferior to animals. This is unfortunate, because, for most of us, plants provide our best opportunity to connect with nature. 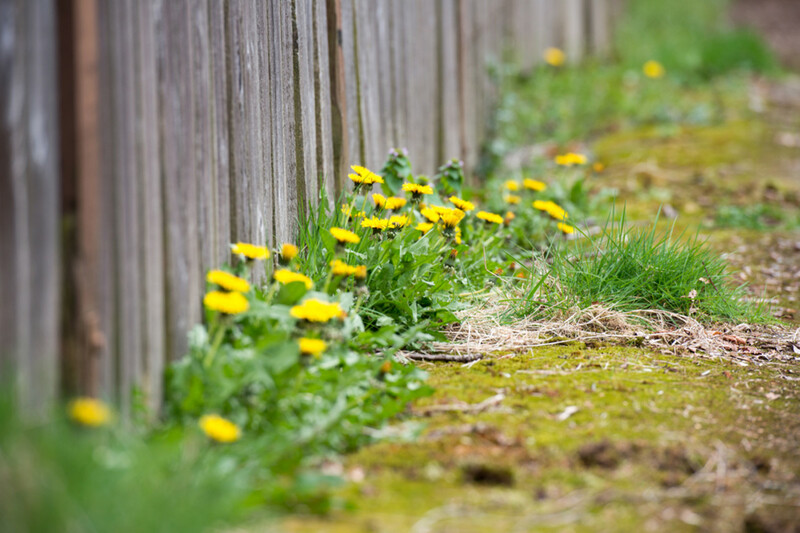 Many people, especially city dwellers, may not have the opportunity to connect with wild animals outdoors, but nearly everyone encounters some sort of plant life on a daily basis, even if it’s just street trees or weeds growing through sidewalk cracks. Even during the coldest days of winter, trees and bushes emerge from record snows. But do you recall anything about the plants you saw today? Although you might not give them much thought, plants are integral to our survival. We rely on them for the air we breathe, the food we eat, the shelters we live in, and, in many parts of the world, the medicine we use. The Madagascar periwinkle, for example, is the source for two drugs used to treat childhood leukemia and Hodgkin’s disease, and willow bark contains the precursor to modern aspirin. Although you might not give them much thought, plants are integral to our survival. We rely on them for the air we breathe, the food we eat, the shelters we live in, and, in many parts of the world, the medicine we use. In addition to the tangible benefits of a healthy natural environment, like clean air and water, research suggests that living close to natural environments confers long-term health benefits; in fact, it’s possible humans may have evolved both a psychological and immunological need for exposure to natural environments. A summary of dozens of studies suggests the following benefits from meaningful contact with the outdoors: healthier social behavior, stress reduction, increased immune function, improved focus, enhanced cognitive abilities, and possibly even reduced risk for cardiovascular disease and high blood pressure. Despite these many benefits, people today spend up to 25 percent less time enjoying nature than people did just 20 years ago. I fear our increased reliance on mobile phones is partially to blame. Almost every American adult owns a cell phone and recent studies claim that, on average, Americans spend nearly five hours a day on them; some college students average nine hours a day. People are becoming so attached to phones that there is even a word—nomophobia—to describe the fear of being without a cell phone. Fifty-three percent of mobile phone users in Britain suffer from nomophobia, according to a study commissioned by the United Kingdom post office. Of course, mobile technology isn’t all bad. It can play positive roles in community health and livelihoods, and in raising awareness of all kinds of issues, including the environment. There are green apps, live webcams of nature, and educational nature shows and podcasts. But we still need to get technologically unconnected and naturally connected. While technological nature is better than no nature at all, it isn’t a very good substitute for the real thing. Developing positive bonds to nature may strengthen our respect for it and our desire to experience and protect it. As the global population grows and becomes increasingly urbanized, this bond will be critical for broad support of natural area protection, sustainable agriculture, and urban design incorporating nature—all necessary for a healthy environment. Spring is just around the corner and will allow for more time outside. Let’s use it when it comes. In the meantime, botanic gardens, greenhouses, and national parks are available for a much-needed dose of nature during snow-filled months. We should all vow now to engage more with the nature we do encounter. Try going a day without your phone (or use it only as an actual phone when necessary) and make time to look around and listen. It will make you healthier—and likely happier. 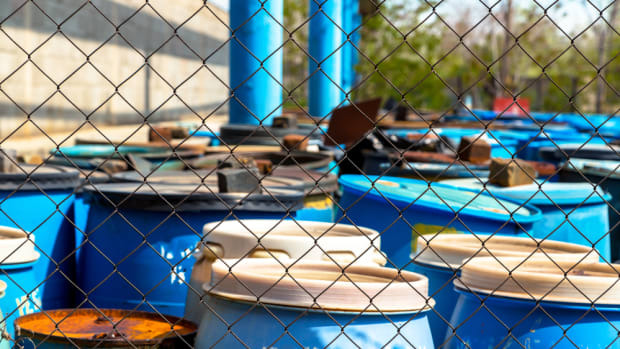 Nail polish, batteries, hand sanitizer: You may not think of these regular household items as toxic, but they are, and they’re poisoning our water and food supplies.